The poster is considering as one of the popular methods for off-line advertising and publicizing. And it would be especially favored by people with a little budget to propagate new projects or events, like students and teachers, non-profit organization. But making awesome posters is not an easy task for non-designer. So DesignCap is born to resolve this question “How to Make Posters?”. DesignCap is a web-based poster maker that does not require any designing experience. Even a novice is able to create an excellent poster in just minutes with DesignCap. DesignCap aims to be your useful assistant to design amazing posters and flyers by simplifying designing process yet making your works extraordinary. It develops many professional editing tools for customizing your posters and flyers at your will, such as adjusting size, position, rotation, changing text font, color, effect, alignment, applying specific background and managing layers. With these powerful editors, you would create your stunning posters with no difficulty. Start from choosing a suitable template from a template library. You scroll down templates to pick your favors one, or you could click the template menu to the specific categories DesignCap classified. Adding photos. 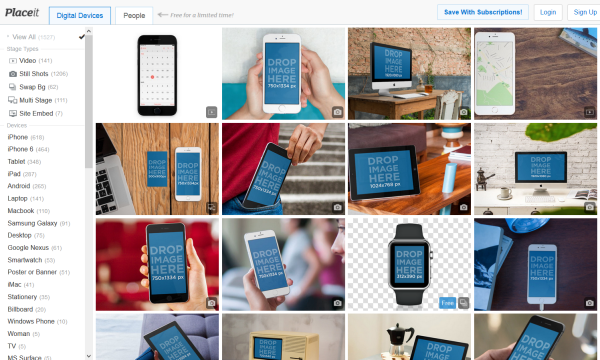 DesignCap offers multi-channel photos resource for your editing posters. You could import photos from your computer or Facebook or you could search 580,000 images from Pixabay. Editing photos. After you are adding a picture, you could adjust it by two major editors, property and effects. Changing text. You could displace the fonts and text in the template you choose. Also, you could edit the text by the text editor. Customizing Clipart. Apart from searching 93,000 clipart images from the Internet, the designing team behind DesignCap prepares massive well-designed and lovely clipart for you to decorate your poster. Moreover, you could customize them at your will. And all clipart would greatly help to perfect your poster designing. Setting background. Although this function would be a quick help for you to design their poster from a template. But DesignCap also prepares considerable background including solid and gradient color and preset pattern. 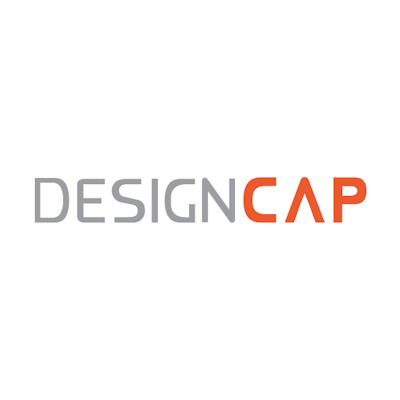 DesignCap believes it would give more choice for users. Saving, sharing and printing posters. After finishing the poster, you could save in JPG/PNG and different size. The highest appreciation might be all features and resources are free to access. There is no such free premium version. Very easy-to-use. The interface of DesignCap is very instructive and concise. Not so flexible that it does not show the Undo and Reply function, it would be annoying sometimes. It could not customize the size thought it could resize by another application. DesignCap would be a great choice to make beautiful posters thought it might not be as powerful as Photoshop, but easy-to-use is its most significant merit and we love it. DesignCap would not take you a lot of time on it. Posted January 21st, 2019 in Misc. Tagged: creator, design, generator. In these times of high-speed Internet and 24/7 online presence, having one’s own website is a given. Whatever one may be – an individual promoting his business, a big conglomerate, a fashion/lifestyle blogger among others, everyone needs their own website to promote themselves or their business. Many people are able to create their own websites but for those who are technically challenged in this area, the vast world of the Internet is just a click away. This is where the role of web builders comes into play. Why are web builders important? While most of us can build a website, it always helps to take some professional advice. This is why making the use of web builders is highly recommended these days. Website builders have all the latest knowledge about website building technologies and they will work towards reducing costs and building a website in the best manner possible. Website building includes having knowledge of different programming languages like HTML and advanced website coding. All these issues and related areas like graphics are completely taken over by the web builders and the end result is a properly functioning website. Another major reason why website builders are important is that they come with a drag-and-drop facility, which means that no new code needs to be written every time changes need to be made to the website. This facilitates the easy upgrade of matter as well as images. There are many well-known web builders available for clients to create their website. Some of the top names are Wix, Weebly, SquareSpace, and Strikingly. These are world famous for the website content they create as well as for their graphics, designs and added features. However, there are a ton of other lesser known web builders out there which offer great features and functionalities at comparatively lesser prices. And these lesser known web builders are the focus of our current study here. So let’s get started. The subsequent list covers some lesser known web builders and all about them; how they function, their advantages and disadvantages. Read on! Among the many website builders available online Imcreator is highly recommended as it is a state-of-the-art, extremely responsive, and user-friendly website creator. Till now, the site has helped create 17,420,822 websites. The templates created by this website builder are visually attractive and adhere to almost all SEO and website standards. 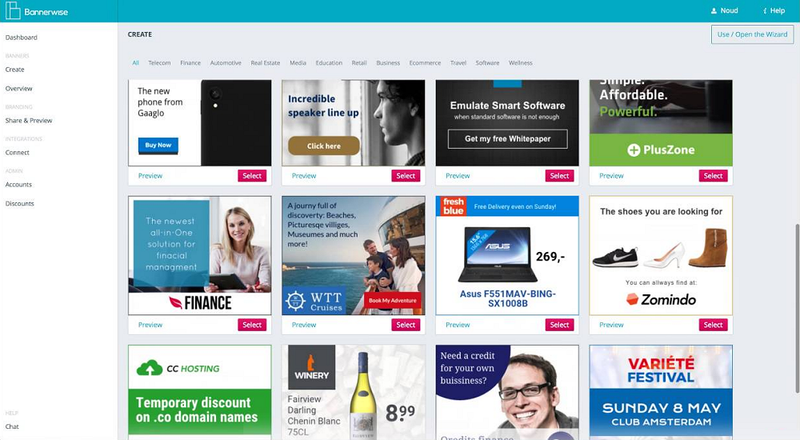 The site has a vast database of free website templates, where one will be spoilt for choice. The website builder claims that the new Polydoms technology installed in XPRS site builder puts it way before the rest. In the beginning, you start by choosing from any of the templates, start from blank or use my sites. After deciding on the template, select customize now and set up the website as per your choice. Surf though the website and decide on the pages, settings etc. After all the changes are made, save the website in the final name it is going to be known as. The biggest advantage of using Imcreator is that it is free and highly responsive to queries. Its templates are attractive to the eye and can easily attract traffic. The websites created using this tool can be easily updated as well. 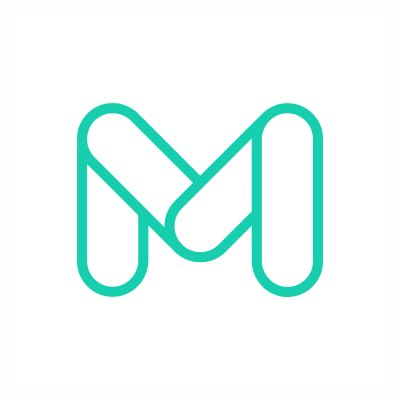 Mobirise is an offline tool mainly used for Windows and Mac to make small websites, landing pages, online resumes, portfolios, promo sites for apps, events, and services. This web builder app works perfectly for technically-challenged people and for designers who are in it for the visual appeal and not remembering the codes. 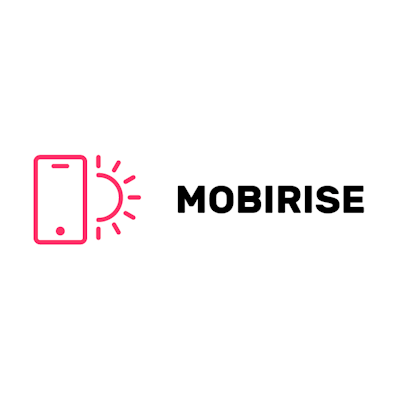 Mobirise works well with pro-coders and small customer projects. You start by selecting a theme for the page and then expanding the block panels with the red plus in the bottom and moving the blocks as per your choice. Next, edit the content of each block and click on the media items and editing them as per your choice. Then set the block parameters through the parameter panel available through the blue gear button. Finally click on the mobile view and get an idea as to how the website looks on different devices and then publish it after a preview. The main advantage of Mobirise is that it is minimalistic and highly user-friendly. It is also free for commercial and non-profit purposes. The only negative is that it can be used for only creating small and medium-sized websites. Moonfruit is a website building tool that is widely used to create a highly responsive and interactive website, which is ready in minutes. One can easily mix and match the already present templates to create their own website. One does not need highly advanced technical skills to use this tool, just basic skills will do. The web builder tool offers a 14-day trial period, which one can make use of to know whether to finalize Moonfruit or not. Once you start, you will have to choose from the many given templates and then make your way forward. You can then customize the designs, install the fonts and pictures you want and make any changes you desire. The end product will be a website dedicated to you and your products. Moonfruit is the ideal web builder for individuals, small businesses who want to set up the website but do not have many resources. Moonfruit does the work free of cost thus proving profitable for businesses. 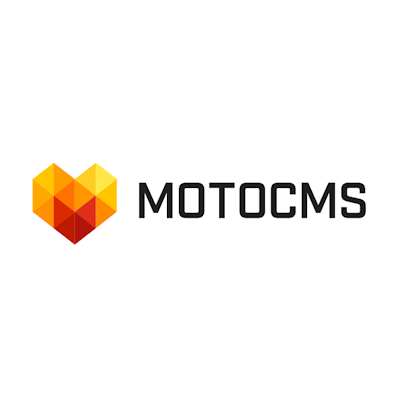 Rated among the top vendors of web builders, Moto CMS has on offer 2500+ accomplished website themes coming under 60+ categories. The services offered by Moto CMS include logo designs, web banner designs, website customization, hosting, uptime monitoring, SEO services and online store development. If you are a beginner, then Moto CMS is the site for you with an easy visual drag/drop editing and interactive design templates. The client chooses the template from among the website templates available. Once a template is decided, they can customize it to their choice. After that is done, add the final content to be uploaded. Next step is to add the custom SEO and analytic necessary for the website. Last, take a preview of the website and if all is satisfactory, publish it online. The biggest benefit of Moto CMS is its crispness. There are many templates to choose from, which is a huge positive. Compared to other web builders, it is high-speed. The general editing of the web builder is easy with point-and-click interfaces and added menus for better editing. The support system of Moto CMS web builder deserves special mention as it is always available to tackle any queries. 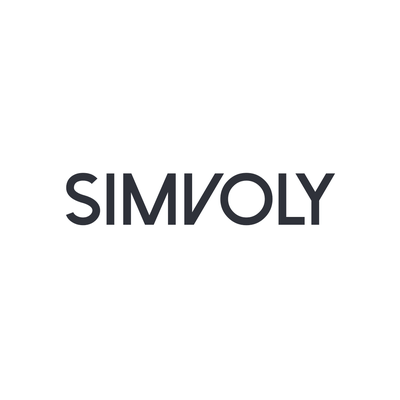 Founded in 2016, Simvoly works towards helping people and companies growing their businesses. The web builder has made the entire website building process simpler for non-technical people. All the unnecessary items and functions of web builders have been removed in Simvoly, making it easier for clients. 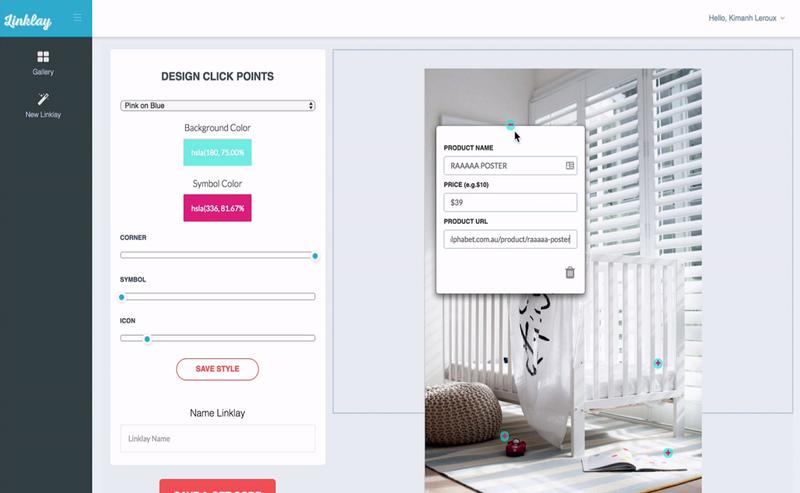 With Simvoly, you have a large array of design blocks, you can set up your online store in a matter of few minutes and there is even a mobile preview. The web builder has a full blog editor where we tag and categorize systems, edit permalinks, manage comments and many more. One can also add images, galleries, videos or quotes as the header. While using Simvoly, one can add text, textures, checkboxes, datas and even passwords. One also has the option of forwarding users to a custom URL and change their notification e-mails. There are around 84 interactive themes to choose from, most of which are contemporary. A big pro of the web builder Simvoly is that it has many distinctive features but it is let down by a confusing interface and a language, which is not easily understandable. 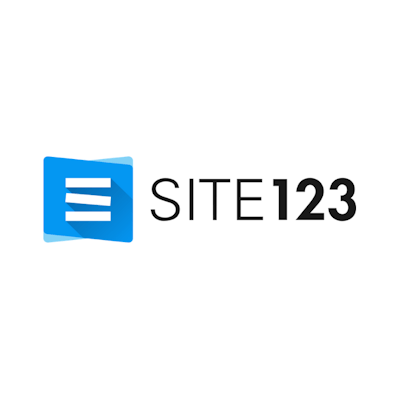 Just like its contemporaries, Site123 is one of the easy web builders available in the market. This web builder’s editor has an edge over the traditional drag and drop website builders. Site123 also offers free hosting, which helps the client stay safe and sure. Select the website template and go ahead with it. Choose your design, font size, typos and content. After that, publish your site and get your online store up and running in less than an hour. Site123 facilitates all online work through any mobile device. A big factor in favor of Site123 is that it is the best site for beginners. Non-technical people will find the site and its different features very useful. The negative comments against Site123 include that there is not much creative freedom and once the website is uploaded, not much changes can be made. Sitey works with clients to help them create their own professional looking website. This web builder is a completely free online tool, used by professionals to take their business interests forward. Sitey also provides reliable and secure web hosting facilities, which is an assuring factor for prospective clients. 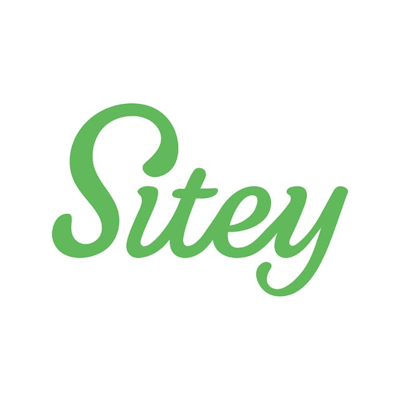 Sitey operates in the same manner as other web builders. The pros of choosing Sitey is that everything is simple and one need not go through the hassle of web hosting purchase etc. The negative is that Sitey works only for small websites and not if one is planning for larger web domains. 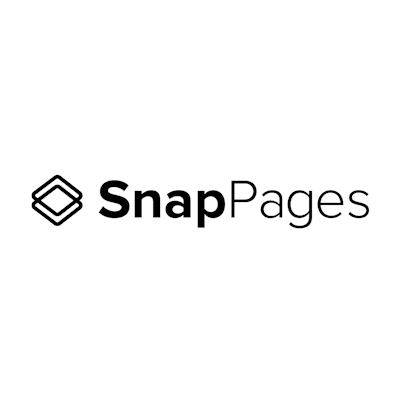 SnapPages is a web builder, which is just right for non-technical people who want to create a website for their products. It is a simple drag-and-drop website, which produces the website you have always wanted to design. SnapPages operates in the same manner as other web builders. The advantage of working with SnapPages is that they are constantly evolving with the times and not remaining outdated. The benefit of this trickles down to the users who have many more choices to work from. uCoz uKit works to provide a modern, professional looking website with beautiful templates, designs and ideas to choose from. 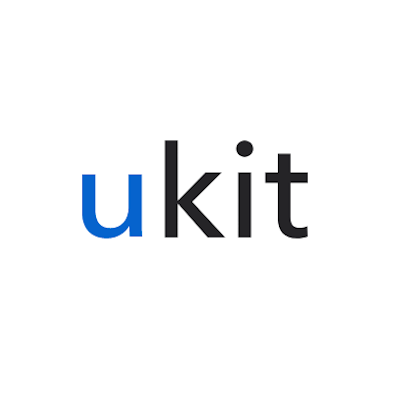 Clients prefer working with uCoz uKit because no type of coding is required as the web builder will simply adjust the pre-existing content. And then the website is up and ready to cater to clients. uCoz UKit operates in the same manner as other web builders like SnapPages and Sitey. The benefits of working with UCoz web builder are many. You have full access to code editing and free UCoz API access, which gives you enough creative freedom. The negatives include many dashboard options, free plan limitations like banner, small disc space among others. uCraft is a block-based web builder wherin the pages are created by stacking blocks on top of another. These blocks contain the individual elements. UCraft is a boon for busy creators who have to create websites in very less time. The web builder has 63 website themes to choose from, all of which are mobile-friendly. 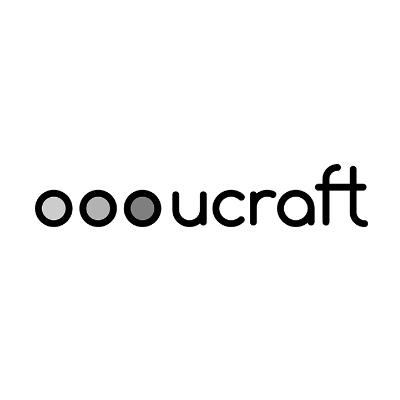 UCraft operates in the same manner as other web builders like Sitey, uCoz, etc. Ucraft has customizability, which is found lacking in many other blocking building websites. If you are just looking to use a template and create a website, UCraft is not for you. Instead you have to build the blocks from beginning. Voog works with brands to create multi-lingual websites. Their web builder is designed such that it will create versions of the same page in different languages thus helping you connect with more audiences across the world. 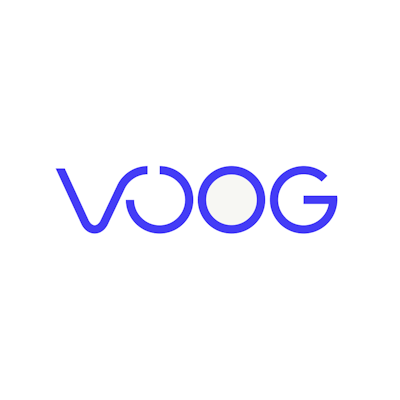 In comparison to traditional web builders, Voog is already built in and therefore easy to use. Click on get started and choose a design from their many offerings. Then you can upload your own files, photos, videos and any other information you want to include. Add a title and then you will get a quick overview of your website. The biggest advantage of Voog is that it can create content in different languages so the reach is much more. 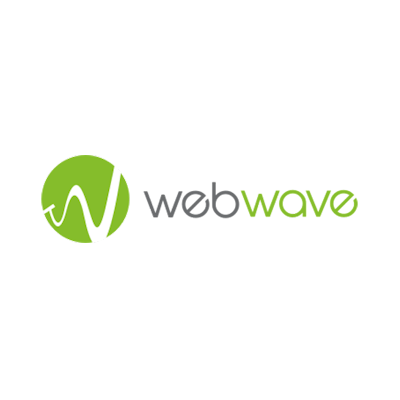 WebWave is a free website building software that helps create websites from the beginning or using a free template. WebWave will automatically convert your desired design into a live website. There is no coding required, no restrictions and you will have full control over your website. First you need to sign up at WebWave. After the account is created, click on the “New Page” button and choose an empty website/template to work on. So what are the benefits of choosing WebWave web builder? It is a really budget tool to work with. The online chat facility helps one clear all the queries, both during office and other hours. WebWave users also have a FB page where they can exchange knowledge and information. This is a big advantage as people can get their queries solved here. Hope our list here gives you some great ideas as to which web builder to choose for your next project. Do let us know the ones you like most in the comments below. Posted January 9th, 2019 in Web Development. Tagged: generator, list. Every brand is identified with its logo. The logo creates the first impression about a company in the customer’s mind. And as first impressions are the best impressions, it is very important to have an eye-catching and impressive logo. This is where DesignEvo steps in. With its years of experience, DesignEvo can help companies create maximum impact logos with minimum costs involved. The company works with brands to simplify the difficult process of logo deciding and designing, and the end result is a powerful impact-creating logo. DesignEvo was created by PearlMountain Limited with the aim of making logo designing simple and easy so that companies can give in their inputs and be part of the process. The perfect logo goes a long way in helping a company connect with its customers, present and future. 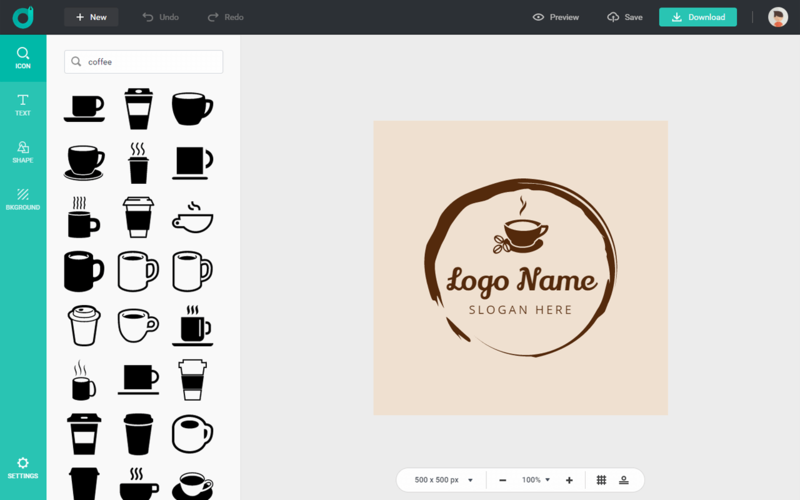 DesignEvo is a free online logo maker with more than 7000 templates for customers to choose from. Their massive built-in database has many top-class icons and different stylish fonts one can choose from. The site is extremely user-friendly and even a newbie can navigate it easily. The tool caters to companies across different fields like music, technology, photography, and automobile among others. DesignEvo can provide different kinds of logos like company and organization logo, software and app logo, brand logo, club logo, wedding logo, business logo, website and blog logo among others. With this, one understands that the company can create logo for almost any occasion or product. And the personal touch from DesignEvo always helps. Prospective clients can browse through more than 7,000 templates to choose their designs. There are more than 100 stylish fonts and useful design icons to choose from. Almost all the DesignEvo logos can be completely customized as per the client requirement. One can use their creativity to bring about the desired changes to the logo. 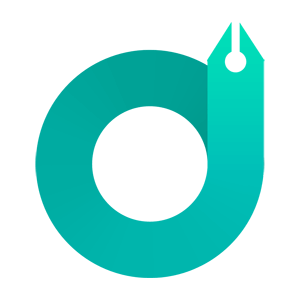 Another important feature of DesignEvo logo maker is that it is absolutely free and easy to use. Any potential client does not need download or register before checking out the different logos. While using DesignEvo, one can get high-quality SVG and PDF logo files, which can be changed to any size without the use of pixels. This makes it ideal for use in print, online and other mediums. DesignEvo also has a cloud-based saving service, wherein you can save logos onto your account and also make unlimited changes as and when you want. Go to www.designevo.com and click on the option “Make A Free Logo” to begin the project. This is the beginning of creating a meaningful logo for a project. After entering the site, one can search with keywords or browse through categories displayed on the left side to choose from 5000+ templates. After you have decided on a template, you can enter the company name and slogan for it to immediately appear on the template. Then enter your desired keyword in the search box and you will get the related logo templates. You can click on any required category and all the related templates will appear on the screen. You can choose any template you like. The template can be added to the MyFavorites list by clicking on the heart button at the top right corner. One can create their own personalized logo from a blank page. This happens by clicking the “Start from Scratch” button. If they want to go back to the template page, then click on the + New button on the left side of top menu. If along with the text, you would want to add icons then click on the Icon tab and you can search through all the icons present. Click or drag on the icon to add to your logo. To adjust the properties of the selected icon, click on the concerned button on the top menu. You can add text to your logo as well by clicking on the text tab on the left side of the bar. You can add any desired text like the company name/slogan to the logo. One can click on the Font combo box and choose their desired font. One can also customize the color, angle and opacity at the topmost menu once a shape is selected. To set up the background of your choice, click background on the left side bar and personalize the background as you want. If you want a transparent background, you can opt for the transparent background. If you want to download your logo design, then click on the download button on the top tool bar for easy download. A major benefit of this tool is that it is very user friendly and is simple to use. Anyone can log in and choose from the designs that are on offer. “DesignEvo” has many vectors on offer and all these are available on the site. Help is on offer to create new icons with multiple vectors. The logo maker has a wide range of designs and fonts for the client to choose from. One can design their logo as per their choice with so many options. One of the negatives of using this tool is that it is hard to move with the mouse things, which have a lot of white space. Free users can only use limited size of 500 x 500 px. Another drawback of the tool is that one can’t fill the vector. One can use workarounds to complete simple shapes but filing complex shapes proves difficult. Overall, the verdict is positive for “DesignEvo” tool, which is the go to tool for brands that are looking for eye-catching logos to lure in customers. The tool is much in-demand for its simple and user-friendly interface. We give it a thumbs up! Posted October 18th, 2018 in Web Design. 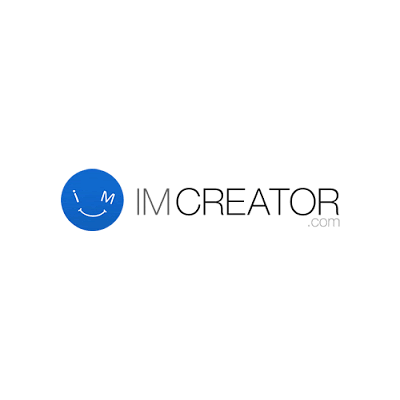 Tagged: creator, generator, logo. Gone are the days when shopping needed people to step out of the comfort of their home. With facilities like multiple choice, cash-on-delivery payments, free first-hand trials, and easy returns, shopping for anything, from everyday essentials to luxury items to clothes and accessories, has become a sit-at-home thing. All you need is a hand held device or a laptop with an active Internet connection and you’re set to go. Even leading product vendors realize the immense potential of the mobile device market which is why they come up with novel ways to entice more customers and make online shopping easier than ever before. One of the newest trends to overtake the online shopping market is that of displaying shoppable images on websites. A shoppable image is one where you see a still photograph of a product in use and can click on it directly to see its price and purchase link. This setup saves you from the headache of having to browse through product catalogues and makes things a lot simpler. Some of the most popular clothing, accessory, make-up, and home decor brands are making use of this kind of direct marketing by simply putting shoppable images as advertisements on various blogs and webpages. If a user sees something he likes, he doesn’t need to click on the image and be redirected to the vendor website where he has to browse through products. Instead, he is straightaway given small clickable icons on the exact products on display which when clicked give him the price of that product and the link to its purchase page. Direct and simple! Want to try out this brilliant sales mechanism? Visit LinkLay! LinkLay is a unique online tool developed with the aim to give bloggers, content creators, online marketers, and even businesses to increase their profits by increasing the click-through rates to product sales pages. It introduces website visitors to a new way of shopping – picking out the exact product they like from the advertisement they’re attracted to. How many times have you come across an advertisement for a dress or a bag maybe which you really liked but which on clicking led you to the vendor website where you had to sift through thousands of products to find it? Well, say goodbye to that with direct links to the “buy now” page of the exact product you click on in an advertisement, thanks to shoppable images created with LinkLay. LinkLay is compatible with all website builders and e-commerce platforms that accept HTML code like WordPress, Shopify, Wix, Magento, etc. It is powered by an extremely user friendly interface which makes creating shoppable images a matter of a few clicks. First, you’ll be prompted to take a 37-second video demonstration of how to use the tool (first time users should take it). Close the video dialog when done. 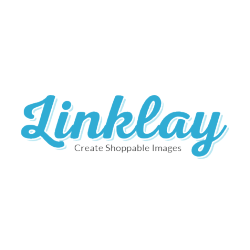 Play around with the sample image provided by LinkLay to get a better hang of the product usage. Hover over the image to see 4 options – edit, copy code, analytics, and delete. Since you’ve not added any clickable points on the image yet, select the ‘edit’ option. You should now see the enlarged version of the sample image in the right-most panel of the screen and editing options in the middle panel. When you’ve filled all fields in this pop-up, close it. The cursor will automatically take you to the next required setting which is color, shape, and size of the clickable icon. Make the desired changes (you’ll see the effects instantly on the image to the right) and click on ‘Save’. This will open a floating pop-up with the HTML code for your shoppable image. Copy this code and paste it into the HTML section of your blog post or webpage where you want the shoppable image to appear. That’s it, you’re all done. To create a new shoppable image, click on “Create New” from the left hand panel of the dashboard and you’ll be given the option to upload the image which you wish to edit with the same editing options displayed in the middle panel. To have a look at all your shoppable images, click on “Gallery” in the left hand panel. For a tool that holds the potential to boosting direct sales, a monthly price of $7 (billed yearly) for a standard account is actually not bad. With an investment as low as that, you get to create 10 shoppable images a month that you can use on 1 website with Amazon Cloud Services backup, Google Analytics integration, no-logo images, as well as email support. Advanced higher priced packages come with even more features. Quite as expected – a straight double-thumbs up! Posted February 19th, 2018 in Content. Tagged: editor, generator, HTML, shoppable images. One of the most effective ways to market your brand online is through banners. Attractive, eye-catching banners don’t just play the part of getting customer attention they are also one of the most traditional-but-still-relevant methods of promoting your brand image. The easiest example of effective banner marketing is affiliate program banners. They have all the relevant information squeezed into a box sized attractive banner that’s so catchy that a significant percentage of people viewing them end up either visiting the affiliate marketer’s website or actually enrolling for it. While using banners is one thing, designing them is an entirely different story. Actually, the way your banners perform depends to a large extent on the way they are designed. That’s probably the reason organizations really wanting to reap a significant advantage hire banner designers and marketers dedicated to the end. However, affording good banner designers is not everyone’s cup of tea. So if you’re a professional just starting out, does that mean you have to lose out on online marketing? Of course not! With Bannerwise, you can design and use engaging banners at an affordable price and capture all the audience attention you want. 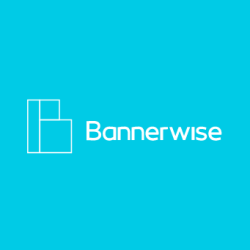 Bannerwise – Easily create beautiful banners! Bannerwise is a tool that lets you easily design ad banners of different sizes for different devices like mobile, desktop, and laptop. Suitable for businesses of all sizes, this cloud-based tool provides users with an interactive online interface where users can either upload images and design custom banners or choose from a rich library of pre-built templates. With users across the globe raving about it, Bannerwise is well on the road to grabbing the spot of the most coveted online banner designing product. But this is where the story sadly took a halt. Quite surprisingly, this message was followed by another one stating that we’ll be contacted by one of Bannerwise’s display experts soon. We weren’t sure why we were rebuffed like that when the next screen we should have seen was the tool’s dashboard. One reason we could think of was that we filled in dummy details since we simply wanted to check out how the tool looked in action. But even after trying with legitimate details the message was the same. Either the platform was under maintenance or they weren’t accepting new registrations at the time, or maybe that was just the way they operated. But it was unusual. There was nothing more we could do except wait around to be contacted. There are additional benefits associated with each plan with more features being available with the higher priced plans, obviously. Steep prices if you ask us, but then, if you strike the right cord with your audience through banners created using the tool, you’ll end up making much more that you spend. We actually couldn’t find out any pros or cons with Bannerwise because we didn’t get a chance to use it. At the time of writing this review, we were waiting for someone from Bannerwise to contact us and take things forward. So saying anything at this point would be futile. But we promise to put up a review of the tool’s working with its pros and cons as soon as we get the chance to experience it. Posted December 14th, 2017 in Web Design. Tagged: animation, banners, design, dynamic, editor, generator, HTML5. Sorry, if that went on for a little too much! But what we wanted to share was a problem quite a few bloggers and social media marketers come across. A picture adds weight to any post, thought or expression. You can’t express as much with words as you can with photos. Thus, people are always monitoring different photo-sharing websites in search of the perfect shots to adorn their blogs or social media pages. 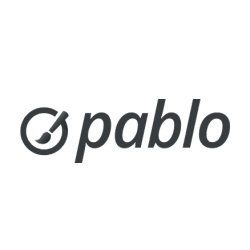 If you like sharing beautiful shots on your social media timelines or blog posts, Pablo is one tool you should definitely check out. Pablo – Create the perfect social-media sharable images! 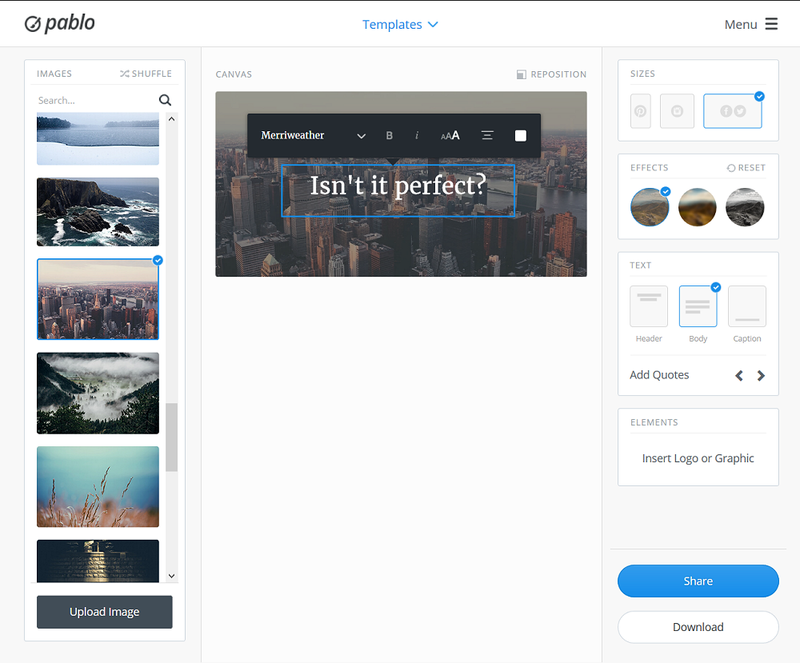 Pablo is an online tool that lets you upload photos or search photos from a huge library and add quotations, statistics or logos to make them sharable on social media and blogs for personal or professional purposes. The makers of the tool quite aptly recognize the fact that a blog post or a Facebook / Twitter share with a picture is read and further shared a lot more than one without a picture. Similarly, consider the case of a lengthy blog post. If it’s just an array of paragraphs with continuous text or statistics, no matter how interested you are in the subject matter, as a reader, you will get bored at one point. But if that same post contains 2 – 3 photos with appropriate quotations, percentage figures etc. the post engagement would be much more. This is where Pablo steps in. This unique tool lets you transform beautifully captured random shots into pieces of art or information by adding custom text or quotations to it and then share them on popular social networking websites. You may also choose to download the photos to your computer and use them on your personal blogs or professional articles. Neat! To start using Pablo, you can click on the big blue button that says “Try Pablo it’s free!” on the homepage or click on the “Menu” button on the upper right corner of the screen and select the option to Try Pablo. If you’re expecting to find a sign-up page, here’s another good news – it’s not required. Could it be any simpler? As soon as you click on the ‘Try’ button, you’re redirected to the image editor page. Before you start using the tool, in order to help you out with the nitty-gritties, a quick tour of the app is displayed in quite an interactive manner. Once you’re through, you can start playing around. Towards the upper left side of the tool’s screen, you’ll find a “Search” box. Enter a keyword for the kind of picture you wish to search. For example, type ‘Pasta’ and hit enter. All images of pasta that exist in Pablo’s database will be listed vertically. Select any of the images by clicking on it and it will be enlarged in the space adjacent to the list. Now comes the interesting part – the edits. Insert Text on the image. The text can be something you type (custom) or a random quote from Pablo’s database. You can also alter the font size, type, alignment, and color of the text. You may share the image to Twitter, Facebook, Pinterest or Buffer directly from Pablo or Download it to your computer. In addition to the above mentioned way to use it, you may also choose to join the Pablo community in order to receive articles about how to create engaging social images and other interesting things (this is where you need to sign up). Moreover, you may also install the browser extension for Pablo to make using it easier. Pablo is one tool that won’t disappoint you. So the next time you wish to grab your 10 seconds of fame by sharing something awesome with the world, create the perfect image with this simple, yet brilliant tool. Posted April 25th, 2016 in Content. Tagged: generator, images, sharing, social media. A simple collection of random data can often be confusing and unintelligible. However, if you organize it and attach meaning to it, it can depict useful information for different purposes. When it comes to depicting information the right way, there are quite a few alternatives. More often than not, information about systems and procedures is depicted through various diagrams such as charts, graphs, flow charts, use cases and more. However, unless one has extensive experience in making them, people often commit embarrassing errors while creating simple charts or graphs. To avoid giving a wrong impression to clients or customers and to create easy to understand charts / graphs / diagrams that present correct information about your business in a concise way, the best option is to use an automated tool that takes data as input and gives ready diagrams as output. In this discussion we’re focusing on one such online tool that serves as a haven for those hoping to create great charts in a few simple clicks. 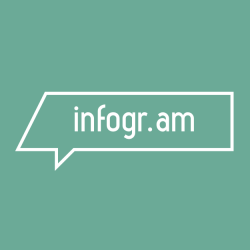 Presenting – Infogr.am! 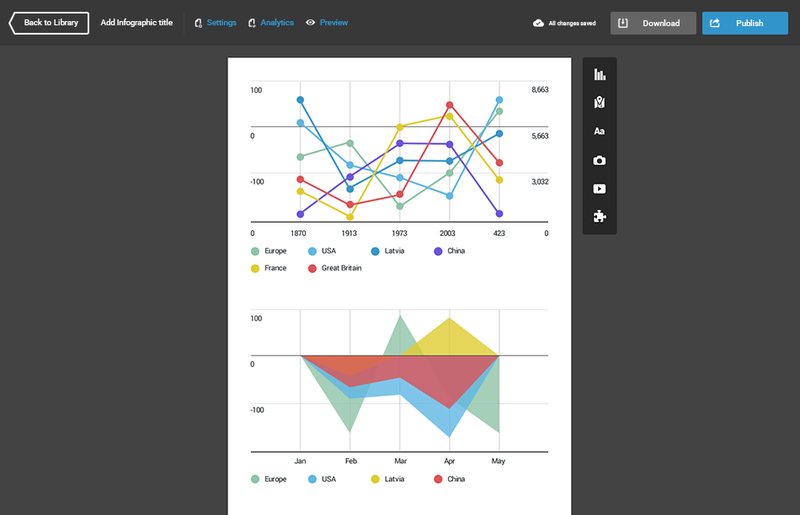 Infogr.am lets you create and publish beautiful visualizations of your data. Highly interactive and responsive charts let users play around with data representations like never before. Picture this scenario – You see a complex graph in-front of you but don’t understand it. How the data on the x-axis affects the data on the y-axis is something you just cannot comprehend in a single look. You wish there was some explanation with the chart that would make things easier. With Infogr.am, you don’t need any explanation. You can click-and-drag or touch-and-drag around data values in the charts to see their real-time effect on other values and understand all intricacies. Infogr.am lets you make your charts move at your commands. Its interactive visualizations add a new dimension of engagement and experience for readers across a wide range of devices. What’s more, you can connect live data sources to Infogr.am’s infographics so that charts are updated in real-time to reflect the latest values. Using static data to make charts is so old-school! Additionally, with Infogr.am, you can embed and share infographics and charts anywhere – documents, web-pages etc. You can even download them and share them privately. Above all, this unique tool lets you brand-ize your charts. Whenever you need to add life to a report, insert a custom, attractive, branded infographic from Infogr.am in a few clicks. With over 30 chart types (bar graphs, line graphs, area graphs, map distributions etc.) to choose from, Infogr.am makes sure it has at least one chart suited to every organization’s need. For each, you’ll first need to create a free account with the tool. For this all you need to supply is your full name, email id and the purpose for which you wish to use the tool (choose from one of the options listed above). Once your account is created, you can start with the design. Choose what you wish to create: Infrographic or Report / Chart or Graph / Map. All these options are displayed within small blue squares and on hovering on each a plus sign appears indicating a prompt to add new. You can create a folder for each project and store the diagrams you create accordingly. Clicking on this option expands the page to display various themes for your project. There are free themes and pro themes. For starters, you may want to stick to the free themes. Each theme has different color and font schemes and to select a theme all you need to do is hover over it and click on the “Use Design” prompt that appears. Once selected, a sample graph is displayed in a pop-up with helpful tips showing how to work with it. Follow the tips to get a basic know-how. Double-clicking on values opens up an Excel like editor on the left hand side of the screen wherein you can edit values. Here you can also change the kind of graph. To directly upload values, you can also upload CSV or Excel files to the tool. Clicking on this option opens a pop-up with graph options on the left hand side and format options on the right. For example, a bar graph in radial format will display a radial formed with colored bars depicting information. The editing and other options can be accessed as described above. Clicking on this option opens a pop-up with a black-and-white world map. Other available countries are listed in the left hand side and their respective maps open up on the right on clicking on the country names. For the free account, only the world map and the map of U.S.A are available. For maps of specific countries you’ll need to upgrade your membership. Editing options are described above. In addition to these options, you can choose to import data or source from Google Spreadsheet, Dropbox, OneDrive or JSON feed. Infogr.am can also be used for team collaboration. Shared folders, access permissions and a simple per-seat pricing can allow your team to efficiently make your data look its best with Infogr.am. However, this feature is not available on a basic account. You’ll need to sign up for a Business or Enterprise plan to avail this. The high points of the tool are evident from its description above. As far as the low points are concerned, it all comes down to the price. At $25 per per person per month under a Pro plan and $79 for a single / team license under a business plan, the tool is a bit on the pricy side. This one is actually a great tool. With no learning curve it lets you create attractive and interactive charts and reports to make your work more fun. If you’re not looking for very extensive features, this tool might be all you need. But if you want more, well, you gotta pay for it! Posted April 5th, 2016 in Content. Tagged: charts, creator, generator, graphs, infographics, information, wizard. What lies at the core of all application development, testing and actual deployment? Data; realistic, abundant and quickly generated! Any application developer knows how important it is to test an application with lots and lots of data. Having repetitive tests with different kinds of abundant data validates how robust and reliable an application will prove to be when real data to the tune of terabytes is fed into it. Will it be able to handle the pressure or will it crash? Though it is a crucial step in the application development process, testing with realistic data is often a tiresome task. Hand-filling data into a test environment one record at a time using the user interface can take days altogether. And if there’s a mistake or an unexpected result, to retest you have to undergo the same process again. Moreover, with one person filling in thousands of records, at one point, the data will start to become repetitive, following a particular pattern rather than being random. So how does one overcome these issues of random data generation? With Mockaroo of course! Mockaroo – The realistic data generator that lets you relax while it works! Mockaroo is a brilliant online tool that lets you solve your data generation problems in a few clicks. It lets you generate up to 1,000 rows of realistic test data in CSV, JSON, SQL, and Excel formats. And if you need more data, you can buy one of their nominally priced plans. All you need to do then is write a simple script and the data from these formats will be automatically fed into your application for testing. How awesome is that! If you’re application is tested against realistic data, you’ll have two very distinct advantages. One, you’ll be more engaged as a tester. Realistic data will mean your application will face challenges that it might face in real-time (like special character errors or jumbled jargons) thus helping to make it more robust. Two, when you demonstrate the features of your app to other users making use of realistic data, they’ll understand quicker and easier. With Mockaroo, you don’t have to worry about the technical aspects of testing like learning about mock data libraries or new platforms just to perform stress testing of the application. You can focus on the application development and leave the rest to this unique tool. It will let you download large amounts of randomly generated test data based on your own specifications which you can then load directly into your test environment using SQL or CSV formats, without any programming required. On visiting the tool’s website you see columns with data field names, their data types and blank options which you can alter to adjust to data order and specifications. The column named ‘Field Name’ accepts simple text input, ‘Type’ accepts data type and ‘Options’ accepts numerical input (fields with the same blank percentage are left blank at the same time). You can click on a type to open a pop-up showing the available data-types from which you can select the one that suits your application. You can add more fields by clicking on the “Add another field” button and remove them by clicking on a small cross (x) adjacent to them. At the bottom of the boxes you see a box specifying the number of rows that will be generated (you can alter this to any value below 1000), the format in which the data will be generated (this too can be altered through a drop-down) and a button to “Download” the data. You can even choose to preview what data will be downloaded by clicking on the “Preview” button. There are even options to save the setting to your profile through the “Clone This Schema” button. You can also choose to directly load your application’s fields from a CSV if they are too many. 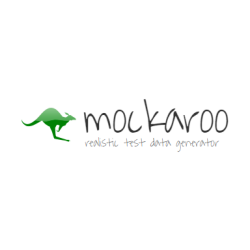 In this sense, Mockaroo actually gives you all that you need to generate random data for testing. With no signup required for this basic functionality, anyone who just wants random data to test their application can use this tool for free. In our opinion, it’s a win-win tool in this regard. If you thought that was all, think again! A super cool feature of Mockaroo is its random data generation at runtime. If you wish to take your application’s testing a step further by runtime testing of your application with realistic random data, you can do that too. 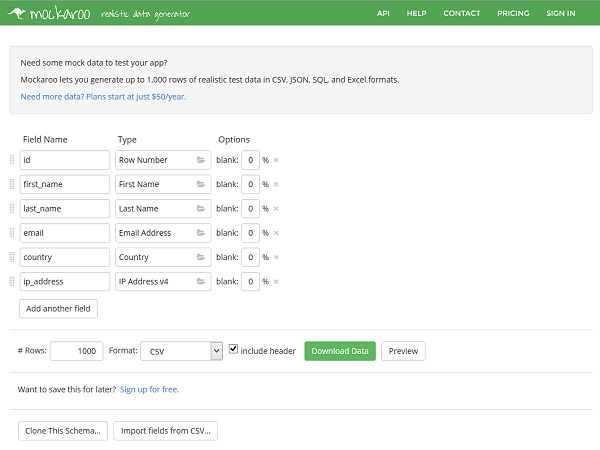 For this, Mockaroo offers a REST API which you can configure into your application to make the downloading of data happen automatically. Just feed in your application’s fields as a schema, configure the REST API from Mockaroo into your application and see the magic happen. This feature is a bit restricted though. First, it requires you to signup, which is still free. It has usage limits – 200 POST requests per day for a free plan. If you however wish to go for one of their plans (Silver or Gold), you get to download up to 1,000,000 records / day for Silver and 10,000,000 records per day for Gold plans with no POST request limit. That’s a lot of data. The other big restriction is that only 2 formats are supported here – JSON and CSV. Other details about the API feature can be found through the API link given in the header menu of the website. Do we need to say the pros again? Data – realistic, random and lots of it; those words pretty much sum up the awesomeness of this tool. There isn’t really a con with this tool, literally. If you regard $50/year for Silver (100,000 rows) and $500/year (10M rows) a con, well, you’re better off spending days filling the data yourself. Plus, up to 1000 rows it’s absolutely free, so test it out first and then go further if you need to. What’s there to lose? A win-win tool in our opinion that you should try out immediately if you need random data generated quickly and easily. Posted August 31st, 2015 in Content. 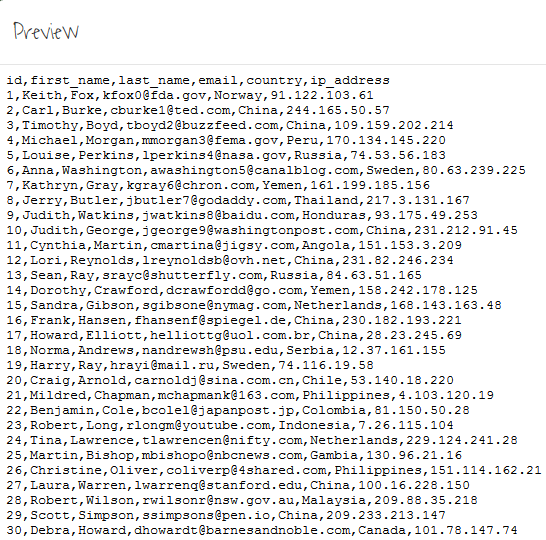 Tagged: CSV, fake users, generator, JSON, random data, SQL, XLSX. Planning to launch a new app? Have you covered everything – the look-and-feel, the functions, the utility factor? Great! You’ve probably catered to every angle after all. And since you’ve been so careful, you must have made sure your app is so user friendly that people will instantly know how to use it. If not, well, how would you make sure your intended audience uses your app the way it is meant to be used? Let us boil it down for you with an example. Suppose you’re launching an iPhone app for a restaurant locator. Since there’s a humungous variety of such apps already available, you’ve gone ahead and made it different in usage to the other apps in the manner in which it asks the user for information. You’ve paid quite some attention to every aspect, but overlooked the usage commercial tutorial. The end result? 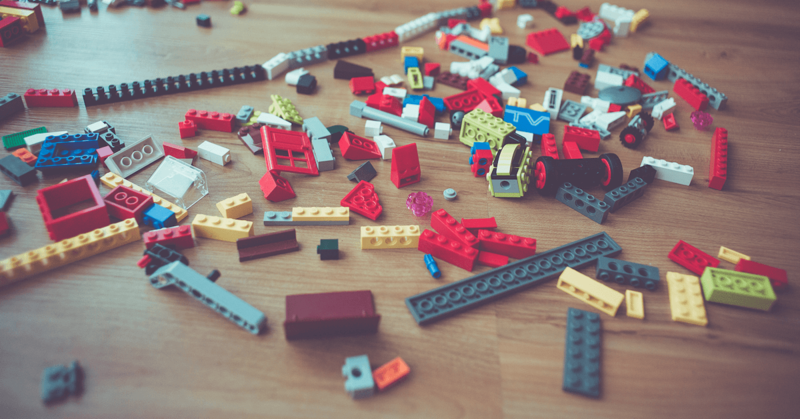 Your app could fail miserable simply because users couldn’t quickly figure out how to use it. In the cut-throat app market, small mistakes like not creating quality demos or commercials for your app could be all it takes to turn the tide. So how do you stay with the flow? Just leave it to Placeit. With Placeit you can create awesome mockups, demo videos and commercials and make your app reach the right audience in the right way. This intuitive online tool contains thousands of crisp-clear high-definition video and picture templates in which you can just “place” your app screens, record your swipe and touch hand movements and create customized advertisements for your app. Just like a dedicated YouTube video infomercial that showcases your app in a few seconds. Cool huh? In case you’re confused about where we’re leading to, just visit the tool’s website and watch their video commercial. At the end of it, you won’t be able to stop yourself from using the tool, even if it is just for fun. Placeit has made something unimagined hitherto, very plausible and easy to do. To record a video demo of an app, the methodology followed till now was to procure a screen recording tool, create a proper setting to record everything with quite some hit-and-trials along the way. The backgrounds to use, the light setting etc were aspects you needed to take care of at your own end. 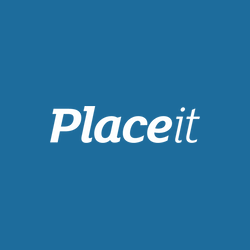 Placeit does it all for you. With this tool, you don’t need to create any setup. 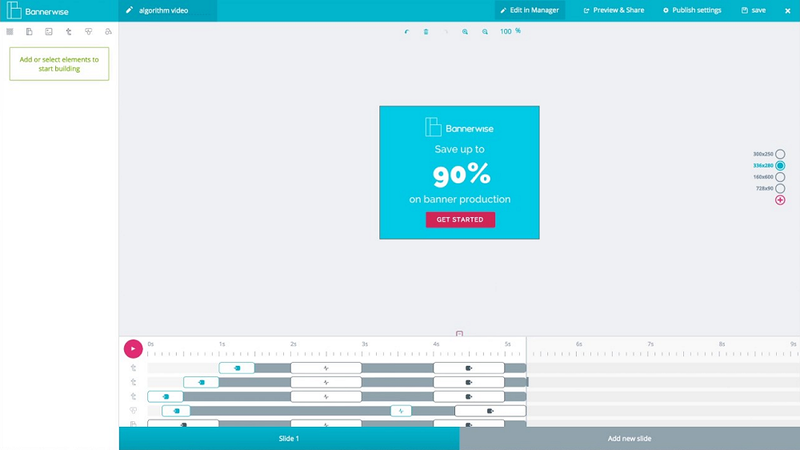 Just “place” you app’s screenshots within their photo templates for photo commercials or record your hand movement and app screens and “place” them within video templates for video commercials. Just like placing your phone and in a dock; so fit it and forget it! To create a picture advertisement, on the device tab (default), pick a template you like by clicking on it and you’ll be redirected to an editor page. Upload your app’s screenshot or any image you like and it will appear placed within the template you selected. You’ll then be prompted to download the small version of the image (that’s free). Thereafter you can apply effects to the image if you wish to. Click on the Save button and the edited image will be saved to your machine. To download a bigger, higher resolution version of the picture, you’ll need to purchase it for a nominal amount. To create a video advertisement select a template and proceed to the editor page as indicated above. Thereafter click on “Record Your Screen”. You’ll need a program called ‘RecordIt’ installed on your machine to proceed. That’s Placeit’s proprietary screen recording software and it is offered for a free download. Record screen movements and download the small version of the video for free or a bigger one for a nominal amount and proceed with effects similarly. In both video and photo demos, you can change backgrounds from a vertical list on the right hand side. Switching between templates is also made quite easy through a vertical list on the left hand side. In addition to the app advertisement creator, Placeit offers users a platform to create any kinds of commercials through a ‘People’ section. Just click on the ‘People’ tab and you’re able to choose a random face, team it up with a background of your choice and cr2ate a static advertisement for anything. With this feature, it wouldn’t be wrong to say that this online tool is not just an app advertisement creator but a complete online advertisement creator. How easier can it get! What’s more, the ‘People’ feature is completely free for a limited period of time. That is, you can download small, large or extremely large and super high-resolution pictures without watermarks from the Placeit People section for now. So what are you waiting for? The high points of this tool are many. The huge number of device images (iPhones, Android devices, iPads, PCs), people images (men, women, children), backgrounds (beach, library, office, home, garden) and effects make it almost impossible to believe that so much can be packed into a single online tool. Plus, even with high-definition video templates and loads of crisp-clear picture templates, the loading latency is zero, that is, everything loads almost instantly. Though they’re tough to spot, the tool does have a few low points. The first one lies in the ‘People’ tab. While you can upload your app’s image to create demos for it, there’s no way to upload a custom person’s picture (say your own for instance) and team it up with one of the backgrounds. But then with the variety Placeit offers in the section, you would hardly need that. The second con lies in the video commercial of the tool on the homepage. The voiceover they’ve used in the commercial makes the video sound a little tacky and sleazy. With the overall look-feel and utility of the tool being so professional, the kind of pitch and words used in the voiceover seem a little out of place. Then again, this is not so much a low point after all. Thirdly, there a price associated with this tool so if you want a high-definition commercial without a watermark, you’ll have to fish out some funds. There’s so much more that we could write about this tool but we’d run out of words. So go and experience it out for yourself! Posted August 17th, 2015 in Misc. Tagged: demo videos, generator, mockups, showcase. Let’s start with the basics. For those of you who aren’t familiar with a Favicon, it is a short term used for “Favorite Icon”. A Favicon is basically the shortcut icon, website icon, bookmark icon or tab icon for a website. It is just a file associated with a website or webpage that contains one or more small icons about 16 x 16 pixels in size. Let’s boil it down to a common man’s language. A favicon is the small icon or picture you see on the extreme left hand side of a tab when you open up a browser window. It might be the picture of the website’s name initial or any other picture that is unique to that website. For example, Facebook has a white “f” symbol within a blue square as its favicon and it is used as the default symbol for Facebook on all platforms, PCs (websites), mobiles and tablets (apps) alike. When you launch your website, you take care of all the little aspects there are to it. You even test the website on different platforms and devices. But often you find that the favicon you selected for your website though looks good on PCs, becomes garbled, rescaled or is absent on mobiles and tablets. And no matter how much you try, you can’t seem to fix this issue until you get into the core programming. Why bother so much when you have Real Favicon Generator at your service? Check it out! Real Favicon Generator is an online tool to generate very real and usable favicon pictures and HTML code that work on all major platforms and browsers. The tool is backed by extensive research and testing to provide you with awesome favicons that work on PCs, Macs, iPhones, iPads, Android devices, Windows 8 devices and more. The tool works on the basic principle that instead of giving you a single favicon.ico file, it gives you all the pictures and HTML code you need to get a cool, mobile and tablet-ready favicon. This is in sharp contrast to most favicon generators that stick to the .ico only methodology which works on some platforms and doesn’t work on some. Your website’s favicon is probably just a picture on the PC but it becomes the identity of your website as you shift to other devices like smartphones and tablets. As your website’s or application’s popularity soars, users start recognizing it through its favicon itself. It hence is pretty worthwhile to have a good favicon and to test its working on all devices and platforms. Here’s where Real Favicon Generator works its magic. Visit the website of this brilliant tool and scroll down. You’ll see a big blue button that prompts you to select your favicon picture and a smaller green one that gives you a demo option with a sample picture. Clicking on the blue button open the Windows browse dialog box through which you can select your favicon pictures if you have any. First time users should click on the green button to understand and try the tool out. As soon as you click on the green button, another page will load showing you sample favicons for iOS (Web Clip), Android (usual icon) and Windows 8 (Tile) including the sample icon for a dummy website “mywebsite” to give you an idea how your favicon would look once generated. With each platform’s favicons you’ll be given some options to customize their look and feel through radio buttons and text fields. Once you’re satisfied with the settings, click on the “Generate your Favicons and HTML code” button. Another page will load showing options to “Install your Favicon” in a host of language options including HTML, XHTML or Jade. Alternatively, you could use the Real Favicon Generator API to copy the code to your clipboard and use it directly. Scrolling down further brings you to a “Share and Support Us” section where you can choose to tell the world about this awesome tool or donate to it and support the talented minds behind it. If you already have a favicon in place, you can see if there’s any room for improvements in it through a “Check Favicon” button given on the tools homepage. Just type the URL of your website and hit the button to run the check. No harm there! Obvious high points of the tool include its sheer utility, ease of use and simplicity. It’s not a very wide spread tool in terms of its purpose but it achieves what it claims to do. In our opinion, that’s more than enough! Plus, it doesn’t need the users to give sign-up details and waste their time. Rather it allows them to get straight to business. And above all, it’s a free tool. What more can you ask for! There is no real con in this tool except that there could be more web development languages supported. Though it tried to make up for it through its API that can be copied and used, dedicated code that could be just download and straightaway uploaded would be much easier. All in all, Real Favicon Generator is a brilliant effort deserving its credit. If you have or are thinking of launching your own website, don’t look further to search for the perfect favicon generator. Posted July 21st, 2015 in Web Design. Tagged: favicon, generator, shortcut icon.